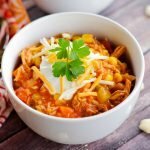 Frank’s Game Day Buffalo Chicken Chili – Football season is in full swing and this is the perfect recipe that combines two game day favorites in one. What’s better than spicy chicken wings or a steamy bowl of hearty chili than buffalo chicken chili. There’s no guilt enjoying this game day favorite. It’s loaded with shredded chicken, spicy hot chili beans, lots a flavorful veggies and of course Frank’s Red Hot Buffalo Wing sauce. The roasted chicken provides the protein while the veggies and beans add fiber, vitamins and healthy carbs. 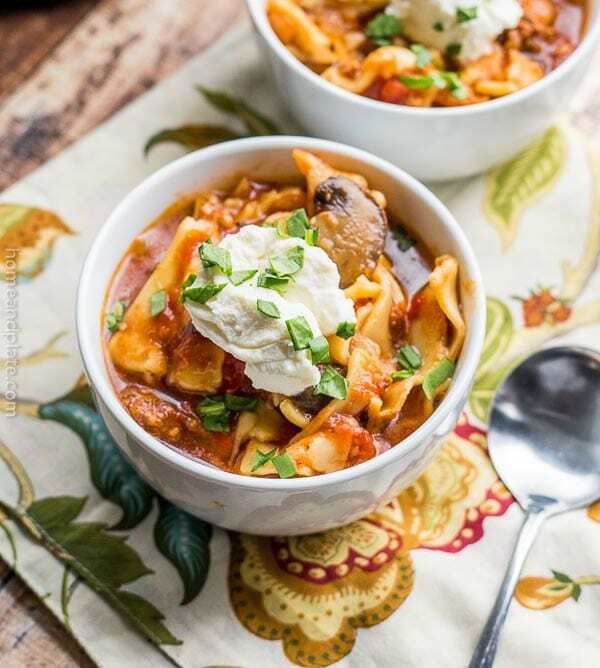 This is an easy one-pot meal to serve your tailgating friends and the leftovers are perfect for quick mid-week meals. Pick up a rotisserie chicken at the grocery to make this dish easy or grill up two bone-in chicken breasts ahead of time. 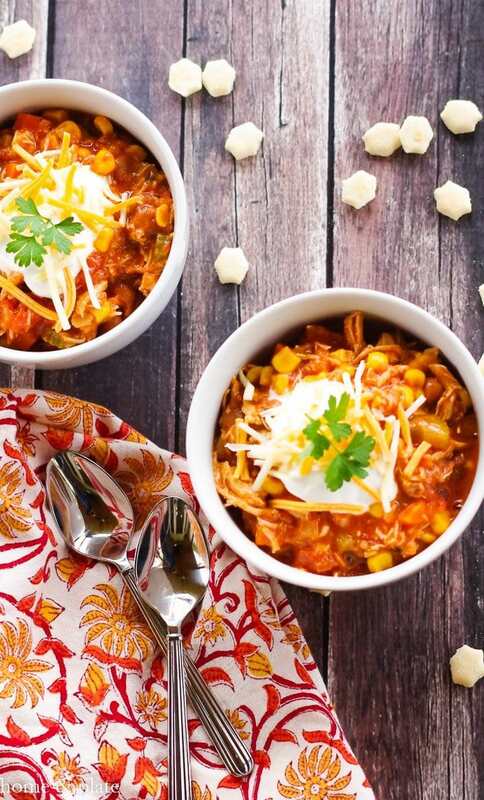 Serve up a bowl of Frank’s Game Day Buffalo Chicken Chili as is or top it with blue or cheddar cheese and a dollop of sour cream. Be sure to serve this yummy chili favorite with other game day dishes including my Caramelized Baked Chicken and Buffalo Chicken Dip. 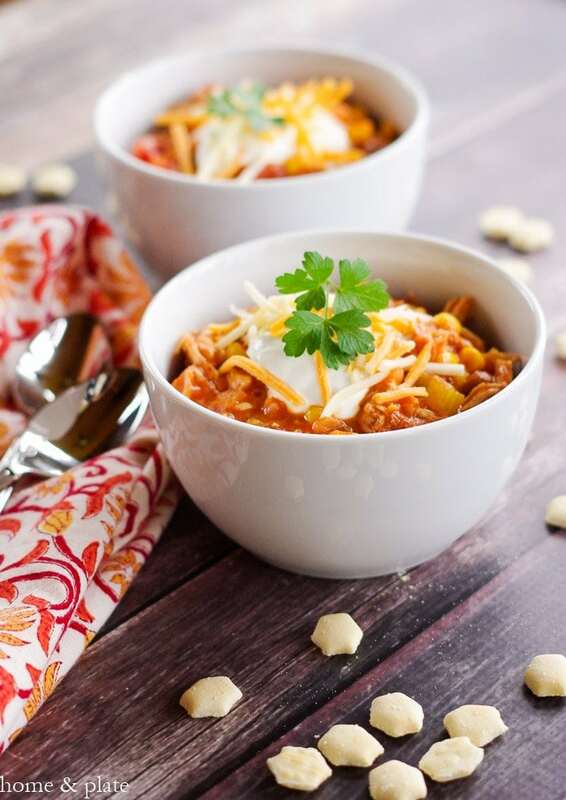 Football season is in full swing and I have the perfect recipe that combines two game day favorites in one - Frank's Game Day Buffalo Chicken Chili. Over medium heat sauté the carrots, celery and onion in the olive oil. Add in the remaining ingredients and allow to simmer for 15 minutes before serving. Add toppings like blue or cheddar cheese and sour cream if desired. Looks like the perfect dish to take to a tailgater or for watching a football game at home! Yes Linda … perfect for game day! Agree Des. Costco has delicious ones. Makes throwing this together a snap. The best hot sauce is Frank’s for sure! Perfect for that hearty chili! Yum! Yup…Frank’s is best. Thanks Rebecca. Love me some Frank’s! 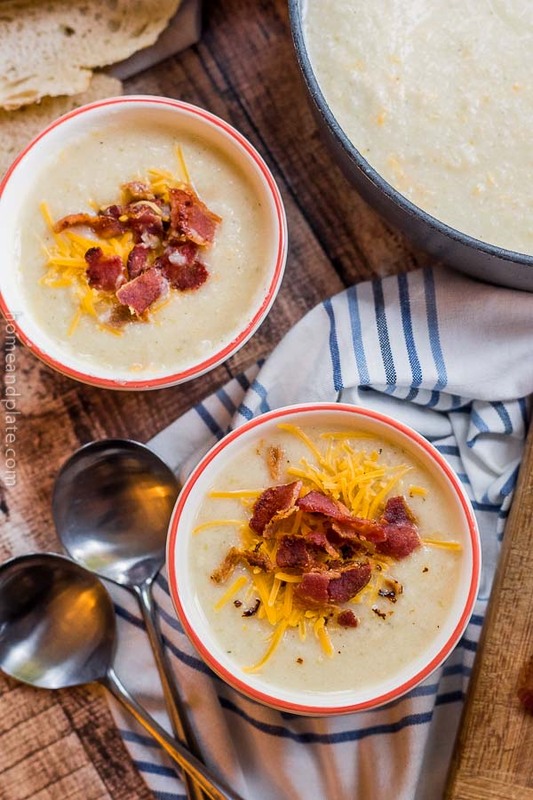 This is perfect for fall game days! Love Frank’s Hot Sauce!! 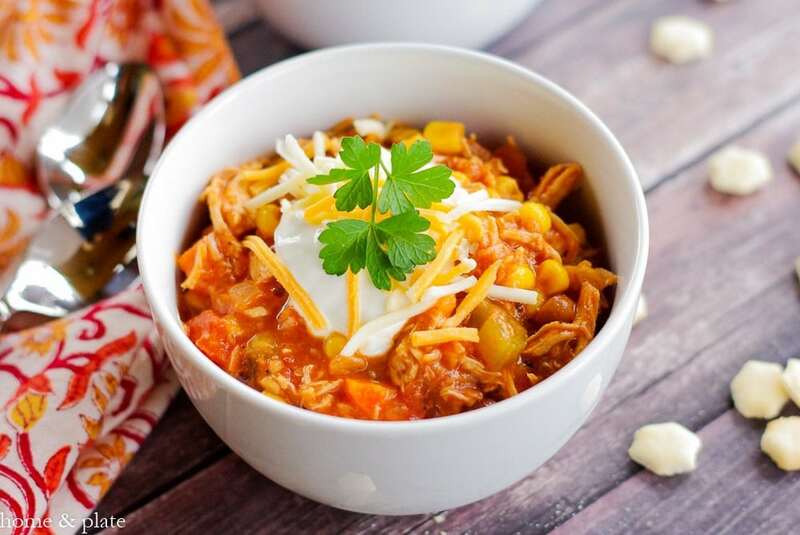 I have never thought to make a buffalo chicken chili – what a great idea. I live for this time of year so I can make chili every week. I am always looking for new chili ideas. Thank you for this one! Oh man…. this SO just made my "must make" list! I love all things buffalo sauce. I’ve never heard of hot chili beans in sauce. Is that with the other beans at the grocery store? 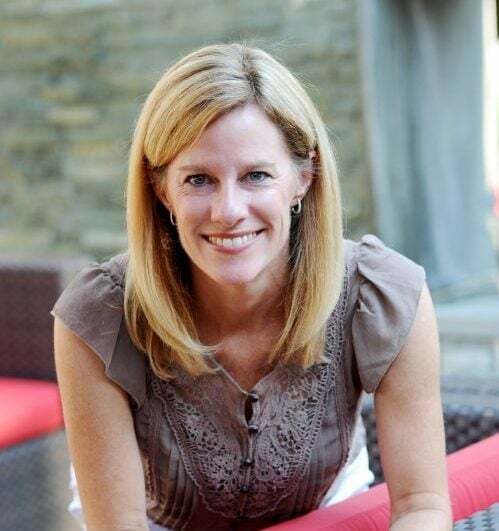 Thanks Trish…yup…you can find the hot chili beans with all the other beans in the canned section. I know Bush’s makes them in medium and hot. Enjoy. This is on my must-make list too!! I don’t even watch sports (eek! Don’t tell!) but I am a chili fiend. This fusion version looks right up my alley.